Congratulations you’re engaged! It’s such an exciting time as you set out on the journey to plan your wedding. It’s one of the most rewarding times of your life while also having the ability to be one of the most overwhelming. At Novare Events we get it! As an expert on special events venue that specialize in weddings we spend much of our time with newly engaged couples and love it! We help clients plan birthdays and bar mitzvahs, corporate parties and fundraising events. But our favorite clients by far are the newly engaged, and the brides-to-be. We love knowing that we’re an integral part of helping our couples create the wedding day of their dreams! Getting to the wedding day is a process though. Our first advice is to hire a planner! Having a wedding planner selected and by your side from the beginning helps to lower anxieties of planning for the ‘unknown.’ And did you know that a knowledgeable planner might just save you money?! A planner that knows the in’s and out’s of how weddings are structured can help you navigate selecting service vendors that are the best fit for your budget and for your event vision. Can I host both my ceremony and reception in your venue? The option to host both your ceremony and reception on the same site has become more than just a trend these days. Decide up front however, is this a set up that you would consider? If so, be sure the venue shares all options for set up with you during a walk-through of the space. Don’t forget, if there are outdoor areas available to you be sure that you ask about ‘back up’ plans or spaces should weather not cooperate on your wedding day. Is there a preferred list of vendors that I have to use? Some venues will have a ‘recommended’ list of vendors, while some will have a ‘required’ list. Many times there will be discounts or incentives for using the venue’s ‘recommended’ or ‘preferred’ vendors – so be sure that you ask about them to save! Know that you can sometimes bring in a vendor that’s off of a venue’s ‘required’ list but doing this typically incurs additional costs. How are the bar and beverage services structured? Beverage services can vary dramatically from venue to venue. Some will hold the liquor license on-property and thus require you to book all beverage service through them. Some venues will instead require that you hold liability through a licensed caterer or bar service company who will be doing the pouring onsite. Either way, bar and beverage services is an area where costs add up quickly – so be sure you share with your venue the best guesstimate for attendance so that costs for beverage services can be calculated accurately with all the information known. Many venues have regulations in place for open flames to protect their indoor and outdoor spaces. Learn what those restrictions are earlier than later to save on costly décor decisions. Décor and floral designers can almost always reach a desired wedding day look as long as they know what to work towards or to work around. What are the accommodations for guest parking? Making parking accessible and a no-brainer for your guests on the wedding day will help to ensure that things run on time. Every location’s parking is different – ask that the venue share with you how many cars can be accommodated onsite and what the options are to provide ease of parking beyond that number. Are kitchen facilities available for use? If so, is that space included with the rental fee? Catering services during your wedding will require access to a kitchen or a prep space. Most venues will have a kitchen onsite, however they vary in size greatly. Ask that your venue show this space to you during the walk-through so that you can share that information with your caterer. Should there not be adequate space your caterer might need to add to your services the cost of adding a draped off culinary prep area or a tented area dedicated to culinary use. Are there spaces for bridal party use before the event? Are these spaces included with the rental fee? Again, understanding all the spaces in a venue that are available to you the day of your wedding will help you plan more efficiently. Some venues include a bridal suite and groomsmen’s room – while others simply offer a bridal suite (or nothing at all). Knowing what your pre-event access options are before you sign a contract with the venue will help you and your fiancé prepare appropriately financially and time-wise. 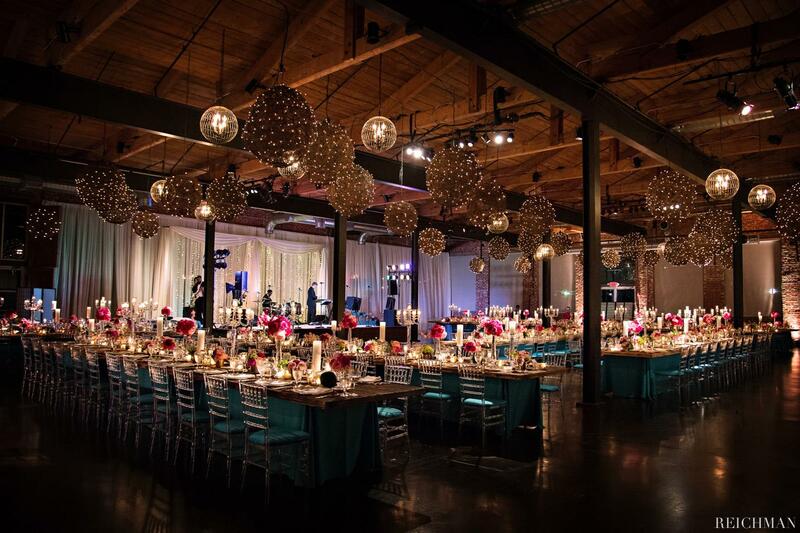 Are there any party rentals or inventory that the venue provides? Most venues will provide some amount of inventory, but the items vary greatly from venue to venue. You’ll want to find out if any tables, chairs or furniture settings are included with your rental of the space. Also, are there any décor items to use at your disposal (signage boards, plants, etc). Knowing about these items in advance of booking can affect your budget in a positive way…they might be costs you can eliminate which in the end saves you money. Can I move things around and decorate the venue space to suit my purposes, or do I have to leave everything as is? No matter what type of venue your wedding is held in you’ll want to ask if there are any restrictions for moving things around and/or adding to the décor and furniture in the venue. If the venue does allow you to move items around and customize to fit your taste then be sure that you discuss setup and breakdown fees with them for doing so. Typically for an additional fee a venues will cover the staffing needed for an added setup and breakdown. Other options for assistance in this area would be to request help from your décor team or caterer for an additional fee. How many weddings will be booked on my wedding day? Surprises on your wedding day are no fun – be sure that you ask how many weddings the venue you’re considering holds in a day. If you’re booking a larger event space the possibility exists that they will hold more than one event scheduled per day. It’s best to know this in advance so that you can make sure that you’re using the time you’ve been allotted and getting access to the spaces you’ve paid for. 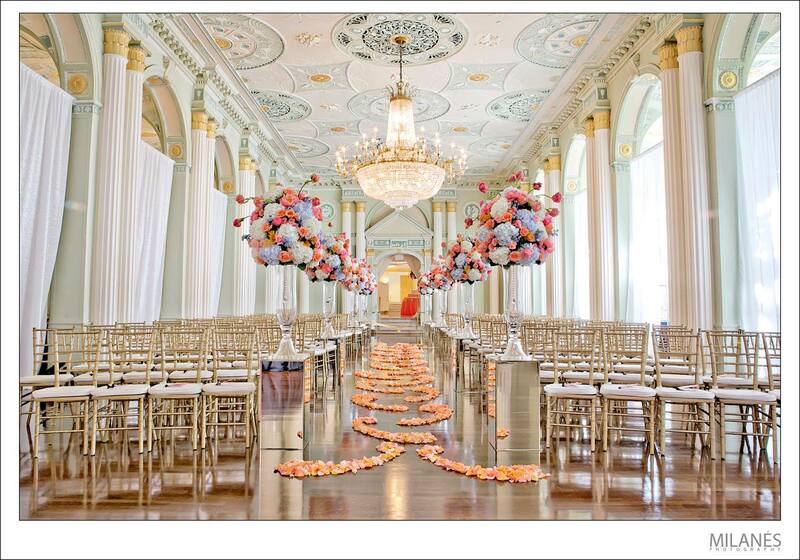 Undoubtedly, one of the first and most important things you’ll do in planning your wedding is securing the venue. We hope our list of ‘What To Ask’ sets you on the right path to securing your dream location…happy hunting! For rental rates and package information for the Biltmore Ballrooms, The Foundry at Puritan Mill, Summerour Studio or The Stave Room at American Spirit Works visit us at www.NovareEvents.com. To schedule a tour connect with our Events Team by phone or email.